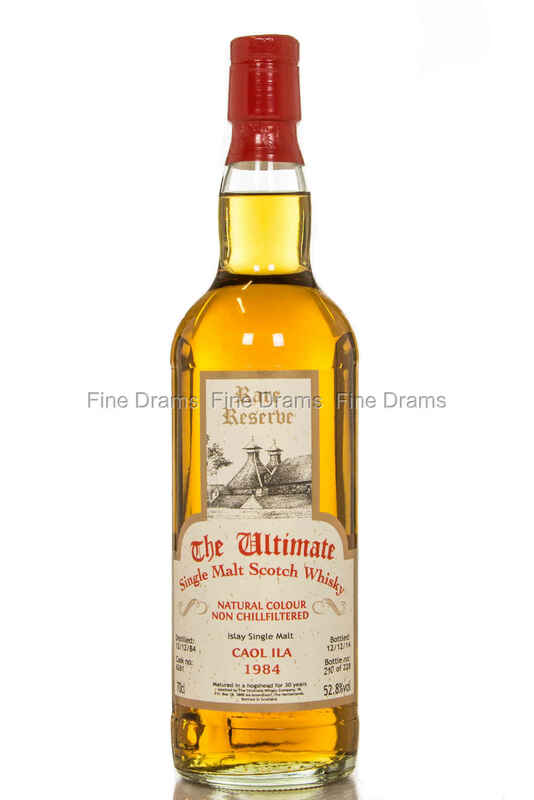 This is a 30 year old Caol Ila bottled by Independent bottler, The Ultimate Whisky Company. It was distilled on the 12th of December, 1984, and bottled on the same date in 2014, after 30 years of slowly maturing in Hogshead #6261. The outturn was of 228 bottles, all bottled at cask strength and all without chill-filtration.